7 Nov 2015 - relocated to outside, so 24/7 available, please bring your own pen. Stealth required. Only a magnificent stone façade and grand staircase remain of the iconic Church of St. Paul's. 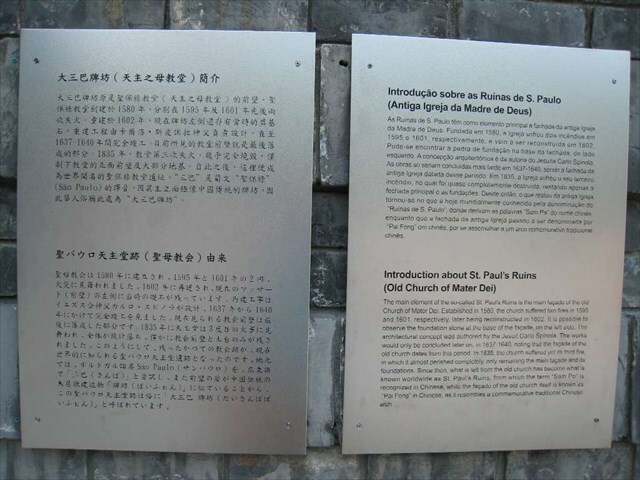 The church was built in 1602 next to the Jesuit College of St. Paul's, the first Western college in Asia where missionaries studied Chinese before serving at the Ming Court in Beijing as astronomers and mathematicians. In 1835, a fire razed both the college and the church, leaving only the dramatic façade standing in four colonnaded tiers, complete with carvings and statues. 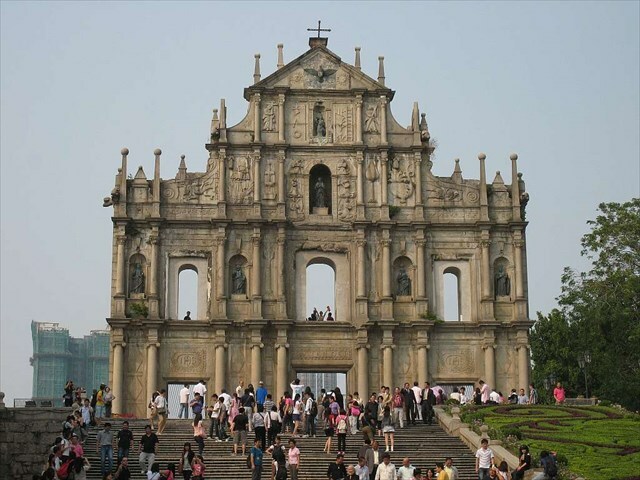 The unique architecture of St Paul's Church recalls the style of the European Renaissance and Asian architecture in an intoxicating mix of Chinese and Western elements. Today, many music performances are held at the Ruins of St. Paul's, which, with its stairs and dramatic setting, lends itself as a natural stage. Within the precincts of Ruins of St. Paul's lies the Museum of Sacred Art and Crypt. 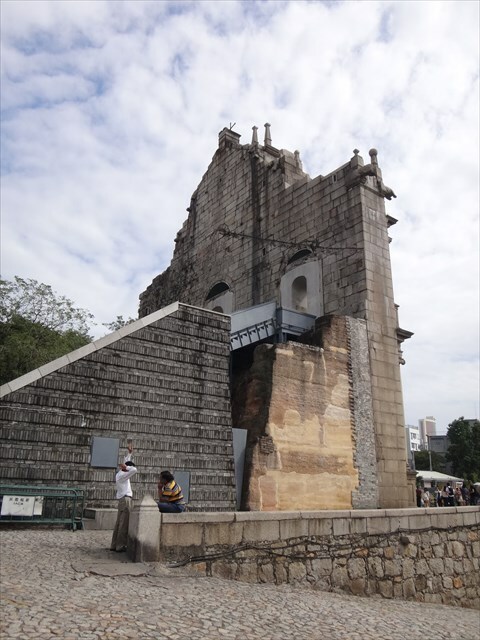 The Museum exhibits religious paintings, statues and sacred objects from Churches in Macau while in the crypt adjacent to the Museum the visitor can observe the relics of martyrs from Japan and Vietnam.